"Elf On The Shelf" Has More to Do With Jesus than Santa In Our home. I hear things all the time from Christians about how bad and Sacrilegious Santa Claus is. I don't think Santa is necessarily Sacrilegious, or against Jesus' birth, I just think some people focus on Santa too much. When I grew up we 'did' Santa in our house. Every Christmas morning, there would be an unopened gift from Santa and goodies in our stockings. Then, we would walk over to our wooden nativity set and unwrap baby Jesus and sing Happy Birthday to him. That's right, Jesus was wrapped as a present. It may seem cliche, but as my Caroline tells me, isn't he the BEST gift of all? I don't think I was screwed up because I believed in Santa. I may be screwed up from other things, but Santa was definitely not the cause. I also grew up in a Pastor's home and all of my favorite Christmas memories involved my family and our Savior. If you research the original St. Nick, you know that he secretly left things for the poor, or those who were in need. What's wrong with that anyway? We have always told our kids about the original St. Nick. We also love watching Christmas movies like Elf or Miracle on 34th Street, or The Grinch. Anyone knows that the Grinch is make-believe, just like Santa, but it's fun to watch on TV and there are good morals in the story. People who let their kids watch Mickey Mouse but not watch Santa cartoons--well, I just don't understand the difference I guess. How is one make-believe character any different than another? Now, before you get all angry and mad at me and start writing me hate mail, please know this is just my opinion. Hear me out. You see pictures of everyone else's "ELF" that they've named and post funny pics on Instagram or Facebook. I saw a post on Pinterest the other day that was called "100 new elf on the shelf ideas". Really? 100? I'm not interested in getting our Elf out in September, but whatever floats your boat I guess. Tony and I have talked about "doing" Santa in our house, but doing Santa differently. We got an Elf on the Shelf when Tobin was 4. It was a gift, and Tobin named him Francis. I thought he was cute, but I had always hated the way some families use Santa as bribery to make their kids behave. I've had numerous conversations with other mom's, and even some of my family members, about the good and/or bad of doing Santa. I believe that if we honor Jesus Christ, and make the Lord the center of our home and holiday memories, there is nothing wrong with a little "ELF" fun. The problem was, I searched all over the Internet for ideas on how to use the Elf, and still have our home centered on Christ. I didn't find many. I did find some good ideas, but they didn't fully incorporate what I longed for my kids and our Elf. I liked the letter that Rachel over at http://followinginmyshoes.com/ , but it wasn't exactly what we wanted. I used parts of her letter, and added some of our own family values. I hope you are having a wonderful Christmas season. Did you have fun decorating the Christmas tree? I thought we would do something a little bit different this year. This time of year – this time we call “Christmas” – gets very busy and kind of crazy. Everyone just focuses on “want, want, want.” Have you been telling your Mommy and Daddy what you want for Christmas? It’s OK to want a few things, but I’ve seen people – grown ups and kiddos – get very selfish with all the stuff they want. They want so many things that they forget the whole reason we even have Christmas…. The very first “Christmas present” ever given to the whole big world. I don’t want you kiddos to forget about Jesus as you prepare for Christmas. I want you to enjoy all the fun – hot chocolate, singing Christmas songs, making yummy goodies, watching fun movies, and presents – but I don’t want you to forget the most important present: God’s love for us and His son, Jesus. I don’t want you to forget that it’s still important to love others … to be nice to other people … to help other people (even your Mommy, Daddy, and each other) … to show other people how wonderful Jesus is. So, I’m here to help you kids (and your Mommy and Daddy) remember these important parts about Christmas: Jesus, God’s love and our job of joyfully sharing that love with others through our gifts, kind words and loving actions (the things we do for one another). Remember that God loves you kiddos so, so, so much. I can’t wait to go through this Christmas Season with you and most of all, I can’t wait to Celebrate Jesus’ birthday with you soon! I enclosed an Advent Calendar with a "challenge" each day. I am using a calendar that I found here. Today's challenge was "I will secretly do a kind act for someone" the family activity was to "play a board game together" and the verse was "Isaiah 12:2 Behold, God is my salvation; I will trust, and will not be afraid; for the LORD GOD is my strength and my song, and he has become my salvation." I gathered these daily items from several sources. There are some really good ones here. I also added a few of our own. If you google "Children's Advent" you will come up with thousands of ideas. I want our children, our home, and our Elf to be focused on Jesus this year. Now, what's wrong with that? Well, I don't think anything is. We will be counting the days till Christmas and celebrating our Savior's birth. You may disagree with me, and that's okay. This post is not to change your mind, or convince people what they are doing isn't right. If you like bribing your kiddos with your Elf On The Shelf, or if you only do Jesus in your home, that's fine too. I'm not here to judge you, or your traditions. I just ask that you focus a little more on Jesus this year. Celebrate HIM! Hello! Once again, it's been way too long since I've blogged. Forgive me. I thought I would give you a life update real quick before the busy Christmas season keeps us busy. It's a GIRL! We are so excited to be adding more PINK to our home! Cravings: Spanish Olives, Pineapple, Ice Water, and Lemon Pepper (on almost everything). I'm feeling pretty good these days. No more nausea! I'm enjoying being pregnant and trying to enjoy every second of my big kids while it's just the two of them. She is moving a lot now and I love feeling her movement! Tobin is doing great in school. We have dealt with our share of behavior issues this year, but we found out his eye sight isn't what it needs to be. The teacher moved him closer to the front of the room, and we have an appointment scheduled with the Ophthalmologist next week. We are thinking that the issue's we've been dealing with will be taken care of once he can see! Guilty moment for me. Why didn't I figure this out sooner? Sheesh! Caroline is thriving in school. She is the little teacher's pet. Everyone loves her, and she knows it. Ha! Today is her first day back at school after having Hives for 5 days. What a miserable Holiday weekend for her! We went to Arkansas for Thanksgiving to see my family, and I felt so bad for her! She was itchy and miserable. We still don't know what caused them. The doctor was 100% sure they were hives, and not another type of rash. He thought they were caused by a virus though, and not an allergy attack. Hopefully they will stay away! We had to change her asthma medication recently, and her health and sleeping in general is so much more pleasant, so this Hive-like virus really took it out of me this last week. I just hate it when my child is miserable! Scentsy is keeping me busy this Holiday season. 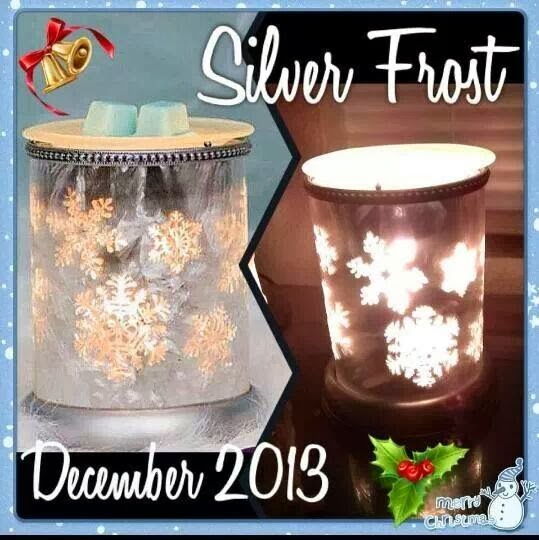 Scentsy makes the perfect Christmas gift, so I always get a lot of orders around this time of year. I really love my job-- I love staying home and making money too! My home will never smell bad. :) This is a pic of December's warmer of the month. It's 10% off and GORGEOUS! This photo does not do it justice. You can check out my website here to find out more about Scentsy or to place an order. I hope your Thanksgiving was blessed! Enjoy the Christmas season with your loved ones. We will be spending lots of time together making memories! I'm sitting here eating leftover avocado from dinner, and a Butterfinger candybar. I know, it sounds weird. Don't judge me. I'm pregnant and that's what ya get! Ha! Tonight, I made a yummy Mexican Chicken Soup for dinner. I got the recipe here, from pinterest, and added my own flare to it. We have lifegroup on Thursday nights and serve dinner, so I always love to do "one pot" meals. They make it so easy! I made Mexican rice and we topped off the soup with avocado, cheese, and sour cream. It was quite tasty! I now have a bunch left that I will freeze for another night that I'm too tired to cook. We had a great night hanging out with friends. After dinner, the men stayed here and handed out candy and invites (to lifechurch.tv) to trick-or-treater's who happened to stop by. The ladies took the kiddos down the street and around the block to knock on some doors. It always makes me smile to watch the people come to the door and look at my cute kids. I heard a lot of "what a cute lady bug" and "Wow- Iron Man!" We all trotted back to our house and handed out more candy and invites to church. Caroline sure did love giving the kids candy and invites. She was mad when I put candy in the candy sacks. She wanted to do it all herself. We have a bit of drama in our little Miss. Independent. She keeps it interesting around here. While we handed out candy, Tobin took the time to sneak/eat more candy. Oh dear, I'm surprised he even went to bed at all! As I sit here, My amazing hubby is fixing our van. We needed new brake pads, and some rod or something came loose on the front tire and something had to be replaced. I don't speak car language; the point is, he is fixing it all up. I don't know what I'd do without that man! I'm so thankful for him! I'll leave you with some pics of my cute kids tonight. Tobin wanted to be Iron Man again this year, which was great for me so I went with it. Caroline wanted to be Snow White and then changed her mind to a lady bug at the last minute, so we scrounged up a Lady Bug Costume from the dress-up box. If you're wondering why we are Christians who Trick-or-treat, here is a post I wrote last year. The kiddos are out of school tomorrow so we will be having a much needed family day! Yay! Enjoy your weekend! She wore her tap shoes, with red pom-poms glued on them (temporarily). Yes, we are transitioning to real shoes, without a walking boot! Yeehaw! (I need to do an update on her Kohler's Disease). There are actually two antenna's on this baby ladybug costume, but one was folded back in ALL the pictures. Oops! Somewhere in the shuffle of last Halloween and moving this year, the attachable mask got misplaced. He didn't mind one bit! There was no staging in these photos. I let the kids pose however they wanted! Can't you tell? Enjoy eating your kids candy! I know I will! I have been absent from the blogging world for over a month! Sorry about that. I've been doing some intense face-time with my Bible. I've cried a lot too. I'm not sure what is pregnancy hormones, or what is real feelings some days. I guess that's how pregnancy goes! Ha! About a month or so ago, my regular jeans were not working anymore, and the realization that I no longer had maternity clothes hit me. It took me a week to get my grasp on it. Just when I thought, "It's been a year since the fire. We have been through 4 seasons. We have everything we need" I was hit with a brick. That wasn't the worst of it. The thought that I'd never see the precious baby things that my babies wore and used hit me harder than I had imagined. Actually, I never really imagined it hitting me because you see, I did not have a reason to think about it before. Again, my motto of "We have everything we need, until we need something we don't have" came back in my mind. Oh, how I would love to get boxes out of the attic -- boxes of tiny baby clothes and receiving blankets and precious mementos. I'd love to look through them and reminisce and wash them and fold them for this new baby... But I can't. These are one more category of items that the fire stole from me. I've been processing a lot of this lately. Some has been healthy through prayer and time with the Lord. Some has not been healthy-- crying, taking out my pain on Tony others, or maybe eating too much ice-cream. I was reading my bible one morning and I felt the Lord tell me "be quiet and wait". What? wait on what? Then he gave me more words, "my timing, provision, healing". So I waited. I wanted to blog so badly, and get my thoughts out, but He told me to wait, so that's what I was going to do. I wrote in my journal and prayed and read and prayed and read. I made a conscious effort to not be discouraged. God told me he was making everything new. I wasn't going to look at this next season and get discouraged because I was starting over, yet again with something else -- Another category of loss. NO! He told me that He is making all things new! I'm going to get excited about this NEW baby, this NEW life inside of me, this NEW chapter for our family, and NEW baby stuff! Then it came. His answer, in the form of a baby crib. This is what He wanted me to wait on. Sunday night we got word that a baby crib was waiting for us to pick up. I immediately started crying. Not because we were getting a free crib ( because that was really exciting!) but because God was answering my call to silence. He was telling me it was all going to be okay. In HIS timing, in his utterly amazing perfect timing, he would provide for all things needed-- not just for this baby, but in my healing. I felt like today was the day to start writing again. I love documenting our lives. Family and friends keep up with us this way too. I don't ever want to come off as sounding whiny or anything like that. 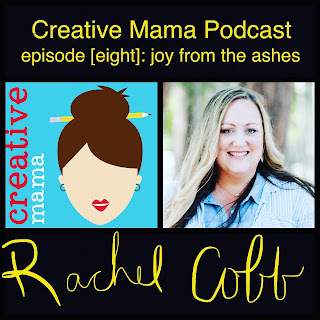 I want you to know that grieving is still a process. If you've grieved anything, you know this. This whole process has been so different that I would have expected. Now that we have a new city, home, school, etc. I didn't expect to hit another terribly hard moment. This whole (rip the scab off, painful) grieving baby things caught me off guard. I guess it is safe to say that it may happen again. For now, I'm resting and waiting on Him. My healer. My provider. My Abba Father. My sustainer. My friend and confidant. My forever love. My Lord. Monday night, my brother and his family were staying with us and the girls wanted to take a bath. I put on Caroline’s Cast Cover and she got in the bath. They played for a long time. I wish I would have taken pictures of them in there, they were so cute! When the bath was over, I made sure she was really dry before I took the Cast Cover off. When I took it off, I immediately felt moisture. My heart sunk. For some unknown reason, her cast was soaking wet! Tony tried to dry it off with a hair dryer as much as he could, but it was still wet. We decided we would take her back to the doctor the next morning for them to take it off, as they had told us to do when they put it on. At 2am Caroline woke up screaming and crying for me. She said her foot hurt and she couldn’t sleep. For an hour, I tried to console her and gave her ibuprofen. She eventually fell asleep. She woke up crying in the morning at about 7:30 and saying she couldn’t walk. She was crawling around on the floor. I called the Orthopedic office to see what time they opened, and hoped to be there when they opened. To my surprise, they were already open so we loaded the car and headed that way. They took her cast off and this is what her foot looked like! Isn’t it horrible? The skin had swollen to almost twice the size! My heart was breaking before my eyes! Her foot was so wrinkled and swollen, and she was in so much pain! We let it dry out for about an hour and they re-casted it. They asked her what color she wanted and she chose purple this time! I sang the "flying purple people eater" song on the way home. She thought I was making it up. I still need to look up that song on the Internet so she can hear it. Ha! The craziest part in all of this, is that her foot wasn’t casted right the first time! We wouldn't have ever known had it not been soaked. Her toes would probably not have healed. She isn’t supposed to be able to move her toes and she could move them freely in the pink cast. So, they fixed the cast to make it impossible for her to bend her toes, and off we went. 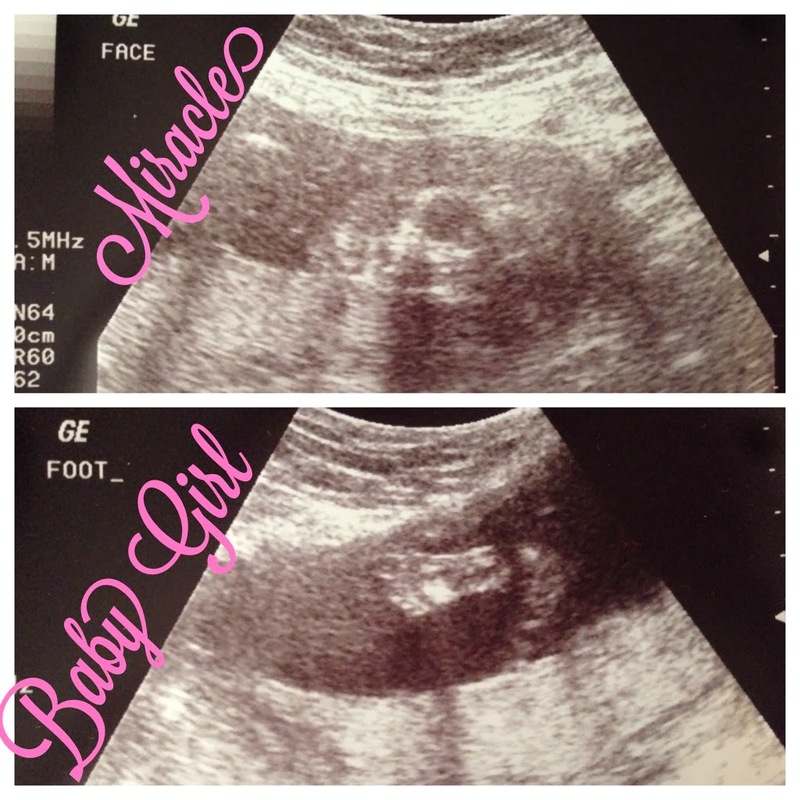 Praise the Lord for that sweet little blessing in disguise! · * When we go in to the doctor in August that she won’t need to be re-casted and her bones show significant signs of healing. · * That she can rest well at night, soundly, and peacefully. · * For her to be pain free, while healing occurs! We believe He is our healer and will make these things happen. Thanks for taking this crazy journey with us. Please pray with us. We will keep you updated! Our second day to Disney Land was to Disney's California Adventure Park! Here are the girls waiting for the tram to take us to the park! Tobin's reaction to seeing "CARS LAND"! He has seen previews on the CARS movies, and he said, "I've waited my whole life for this!" The details in the Disney Parks amaze me! They had radiator caps on the line posts! His reaction to seeing Mater! Look at the tire topiaries! Ha! The girls FINALLY got to meet MINNIE MOUSE! It was super hot, but the rides were worth waiting in line for! Look in the last two rows for Uncle Collin, and Tony and Tobin! He was so proud when he got off his first real life Roller Coaster! Daddy, Mom, and Aunt Carol are in that car! Tobin was so excited to Meet Buzz and Woody! The girls wore themselves out and took over an hour nap in the strollers! We watched the bakers make Cars Bread! The parade was full of all the Pixar Characters! It was truly amazing! This employee was so sweet! Her name just happened to be Rachel! Tobin, just after riding the Radiator Springs ride. It was the best ride I've ever been on! It was worth the whole trip! We found more hidden mickeys! The park at night was just as magical! We just had to get the kids their own Mickey Hat! Then, the trip home happened.... It was an absolute beautiful drive! We got to see the GRAND CANYON! This is where my parents met and fell in love. Aren't they cute? Tobin got his first pocket knife here! We stayed the night in Flagstaff, AZ -- the town Collin was born in, then headed out early the next morning. A van full of 10 people makes lots of stops! We got home about 1am on that Saturday morning. I was an amazing trip! We have countless memories that we will never forget! Thanks for bearing with me during my vomit of photos! Ha! Thanks Dad for giving us the opportunity to take this trip together. Thanks Aunt Carol for letting us stay at, and somewhat destroy, your home! We miss you so much!